Kirk Bell November 12, 2018 Comment Now! Each year the Motor Authority editors place our butts in a slew of new luxury and performance cars. We drive them on the road and on the track. We treat them like we own them and like we stole them. This year we whittled down a particularly strong class of candidates to five finalists: the Audi RS 5, BMW M5, Chevrolet Corvette ZR1, Ford Mustang GT Performance Pack Level 2, and Jaguar I-Pace. After comprehensive back-to-back testing, we arrived at a winner. 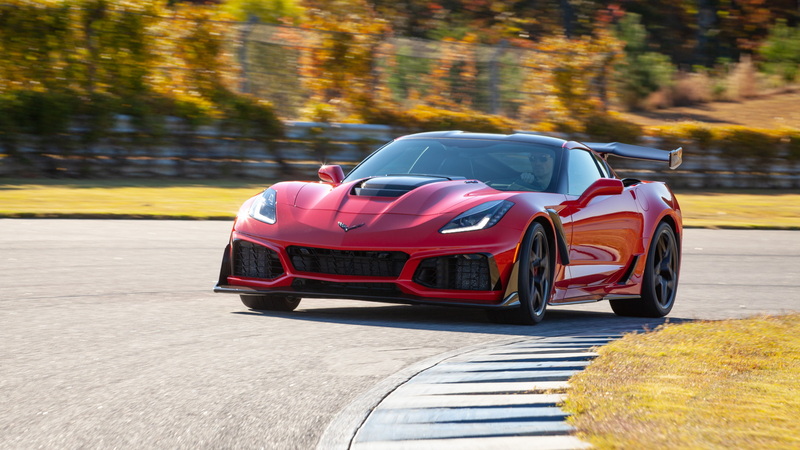 The Motor Authority Best Car To Buy 2019 is the Chevrolet Corvette ZR1. We were overwhelmed by the ZR1's prodigious power—755 supercharged horses will do that—but found it even more capable on the track and perfectly livable on the street. It's a missile pointed relentlessly forward, and it's capable of amazing speed in skilled hands. The ZR1 starts from the an excellent base car. The C7-generation is the best-driving Corvette yet, and the upgrades made for the ZR1 only heap goodness on top of that. It starts under the hood where Chevy installs the LT5 6.2-liter V-8 that features a supercharger with 52 percent more displacement than the one in the 650-hp Corvette Z06. Its 755 hp is the most ever for a Chevrolet vehicle. Both port and direct injection help it churn out 715 pound-feet of tire-deforming torque. A unique front fascia brings in more air to cool four new radiators, while a special carbon-fiber hood clears the supercharger and provides a semi-obstructed view of the road. 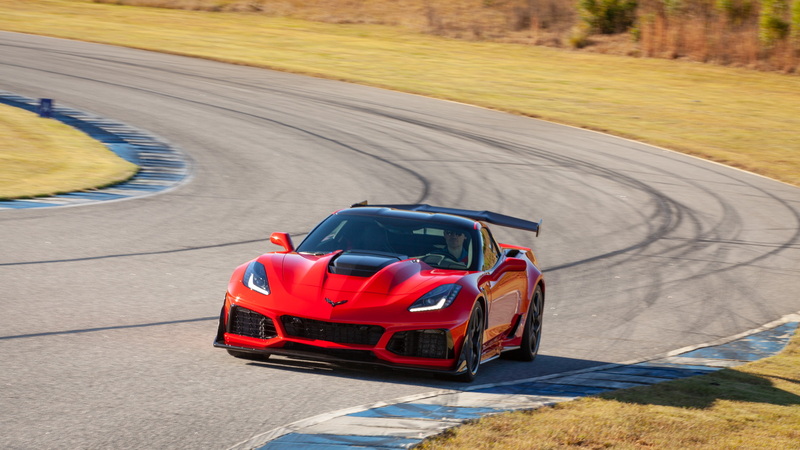 A pair of rear wings (low and high) help increase downforce for faster track times, and carbon-ceramic brakes arrest the ZR1's ludicrous speed with worry-free stability. All of that comes together in a car that can best supercars that cost hundreds of thousands of dollars more. The performance numbers are astronomical: a 212-mph top speed, 0-60 mph in 2.85 seconds, a 10.6-second quarter mile, and 0-100 mph in 6.0 seconds. The torque from the LT5 V-8 comes on like a hammer when pushed hard, but the engine will stay in the background with a light throttle foot. There's so much torque that shifting the tight and positive 7-speed gearbox is rarely necessary. Speed builds relentlessly, and the sound makes you think you might be swallowed whole by an angry demogorgon. 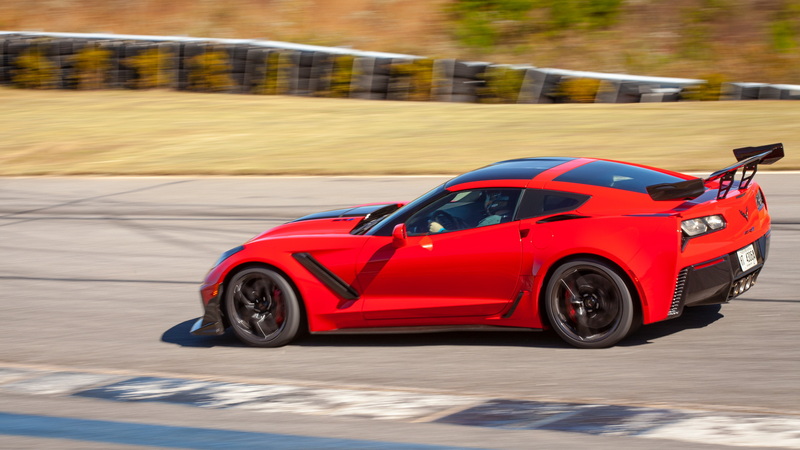 What's more, the ZR1 isn't the handful on a track we expected. Its limits are as high as the driver has talent, but it will also make any driver feel like a hero behind the wheel. 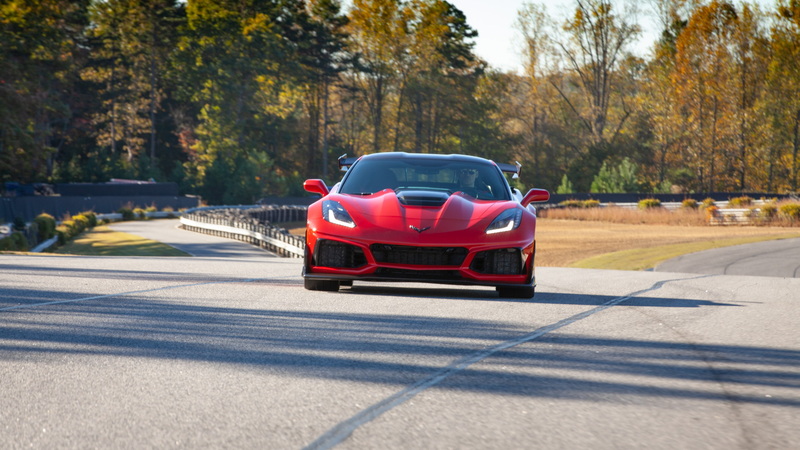 The ZR1's stability is in evidence in every turn. You can place it precisely, drive it hard at high speed, then switch direction without fear of the tires giving up grip. Given its track prowess, the ZR1 had to show some competence on the street to take the award and it obliged. Yes, the ride is firm, the front tires will occasionally tramline on the freeway, the big rear wing makes the hatch hard to use, and the interior isn't quite worthy of a six-figure supercar, but you can cruise in the ZR1 without getting fatigued. It has niceties like an 8.0-inch infotainment screen with Apple CarPlay and Android Auto, heated and cooled seats, and even an onboard wi-fi hotspot. The ZR1 is a usable supercar that you can drive regularly, not just take to track days or rub with a diaper. And you won't find any car that can put up its track times for even twice the price. 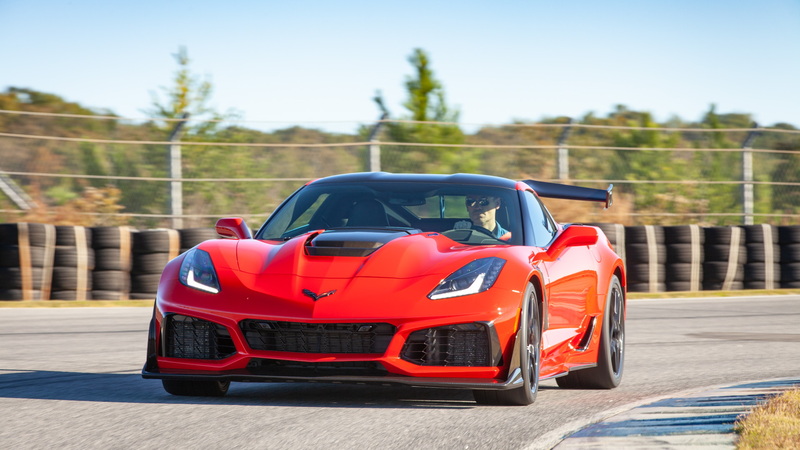 For all these reasons, the Chevrolet Corvette ZR1 is the Motor Authority Best Car To Buy 2019. Congratulations to the Corvette team on building not only the pinnacle of the Corvette nameplate, but a car that deserves a hallowed place in supercar history.